Every year the design world keeps surprising us with fresh and exciting new trends and ideas which we are free to embrace or veto. And nurseries are no exception! 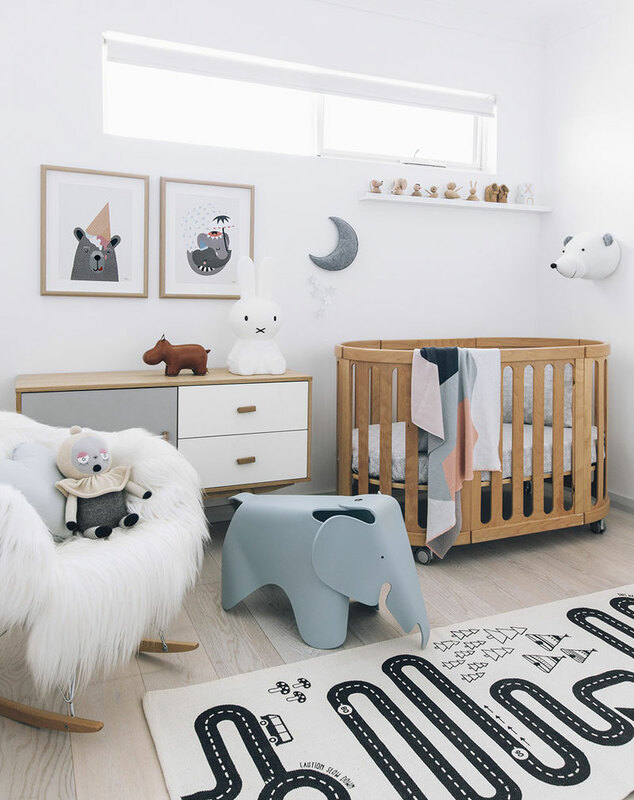 All the parents and ready-to-be parents who are active on Pinterest will tell you that in 2017 gentle pastel hues, wood and minimal – Scandinavian chic were dominating the market. But what can we expect from 2018? Something completely radical, a refined 2017, or a bit of both? 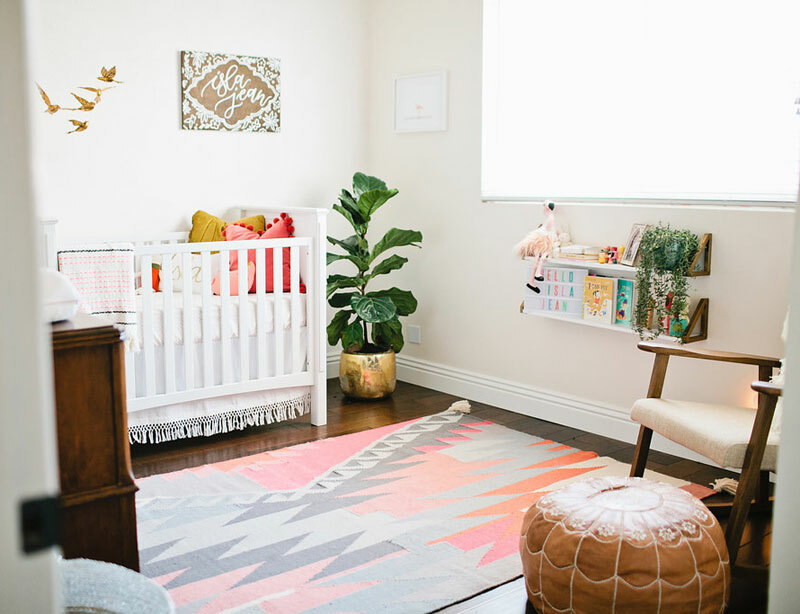 Let’s take a glimpse at the future’s most wanted nursery and prepare ourselves for what is to come. 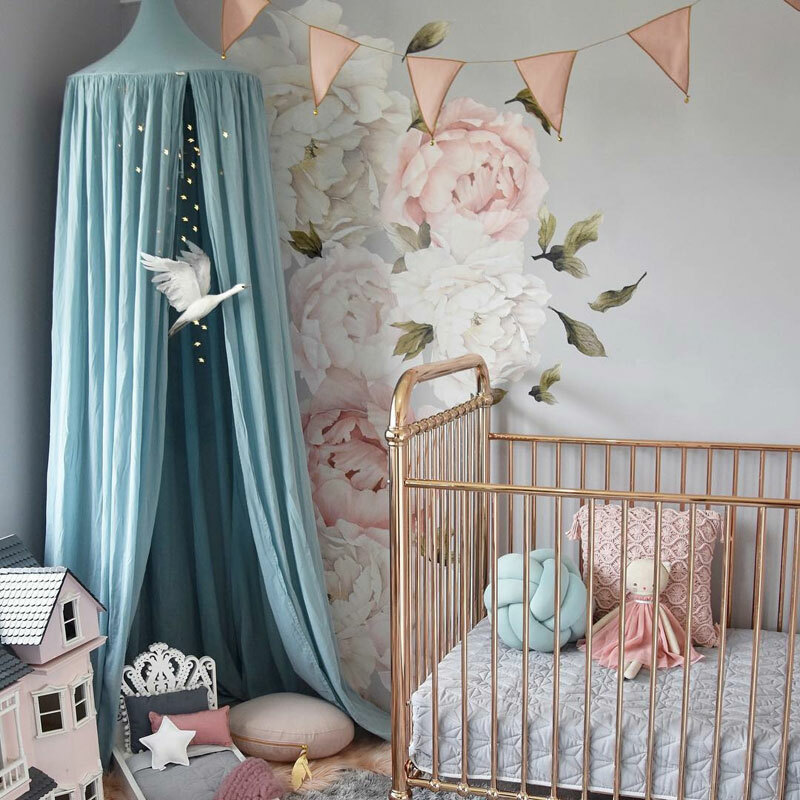 From walls and furniture to accessories and smallest details, choosing the colour for your nursery is going to be the most important decision this year because it will affect the entire décor style. 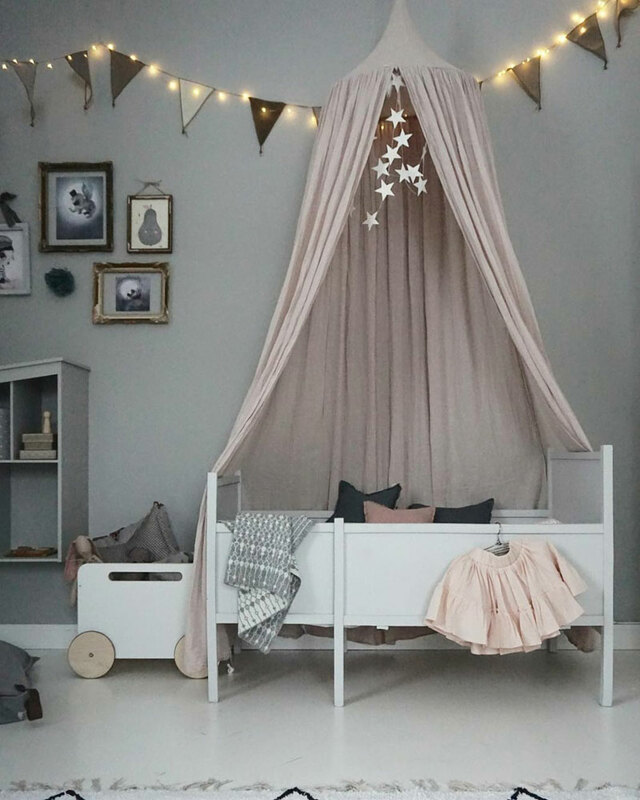 In 2017 hues such as pale turquoise, soft terracotta, light grey and beige joined the ranks of pastels, not letting them stand alone in the fight for supremacy over nurseries. 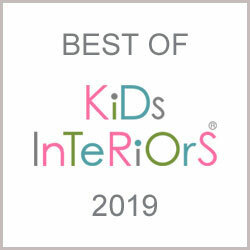 The colour forecasts for kid’s rooms in 2018 predict a steady decline in these minimalist colours, giving way to more vibrant hues. 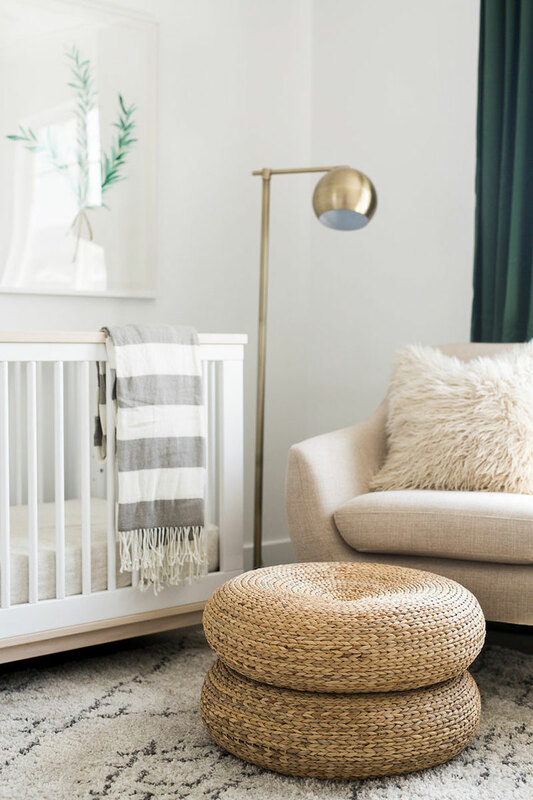 We are going to see the evolution of green towards a more darker side while getting introduced to the golden family: pops of mustard, golden and copper yellow will highlight nursery essentials such as the crib or changing pads. Greys, muted blues and purple hues leaning towards lavender will also start sneaking in defying the light tones of 2017. 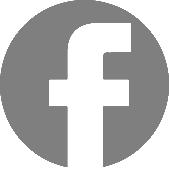 The Boho style has been around for a few years now, however it is starting to get an interesting twist to it. 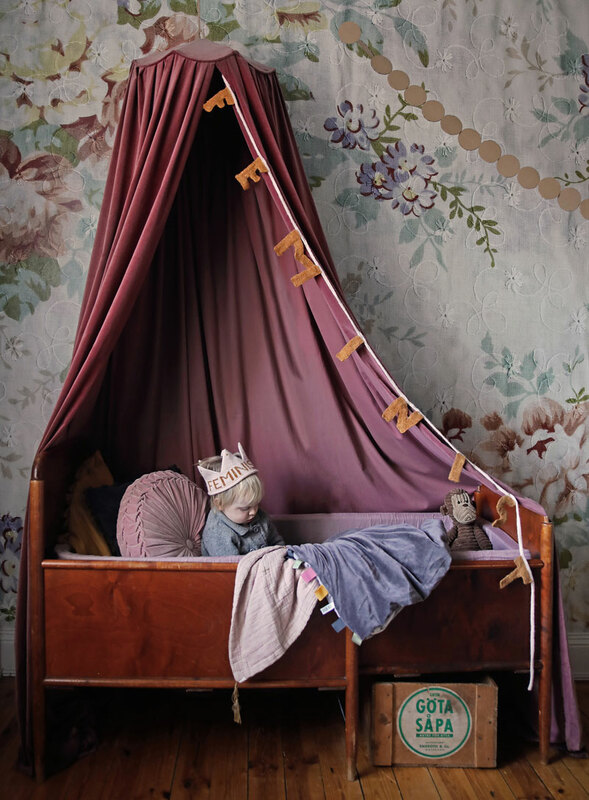 As a matter of fact, Bohemian décor is perfect for nurseries. 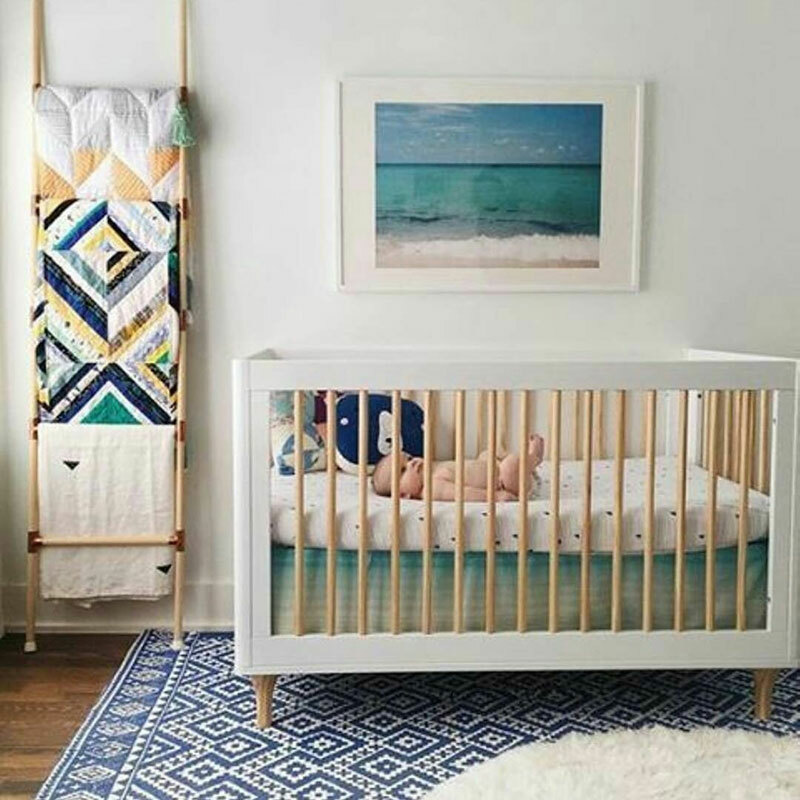 The mix of colourful patterned textiles, textured rugs and cushions has a stimulating visual effect on babies but can sometimes be too busy for parents’ eyes. Breaking it up by introducing contemporary furniture with clean lines creates a more relaxing and balanced space. The golden, brass and copper metals found in nurseries during the past year are definetly here to stay! 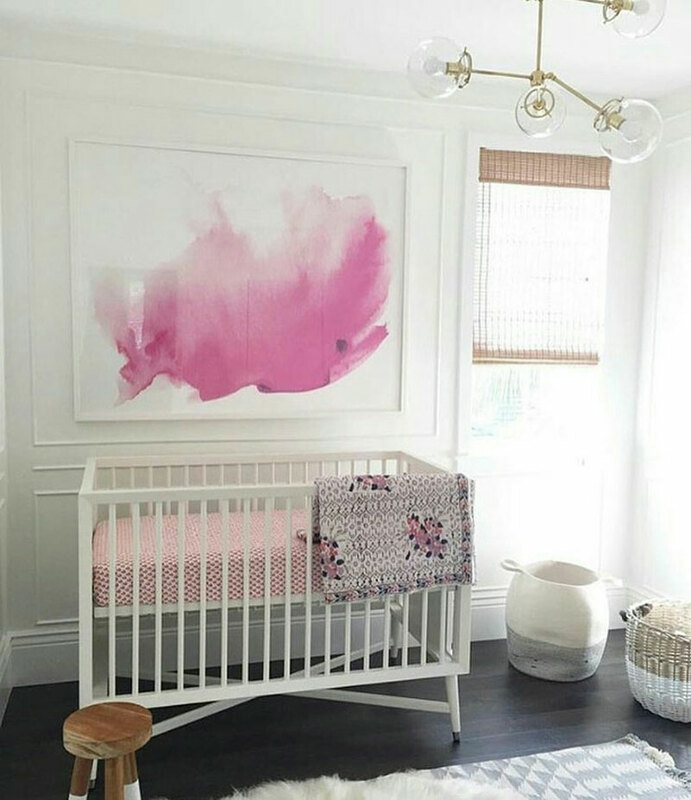 You can go bold, forget about wood for a moment and bring a bit of glamour style to the nursery with a metal crib. 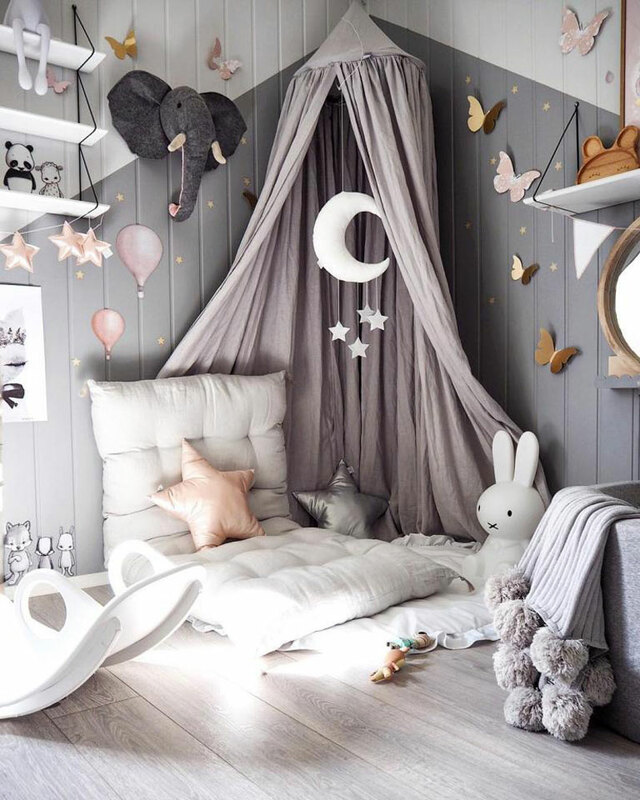 On the other hand, if used in moderation, metallics will bring just enough of a modern touch to the nursery and fit with almost any colour scheme. We are curious to see if the silver metallics will catch up on the race as they are slightly behind, and chances are that they will. 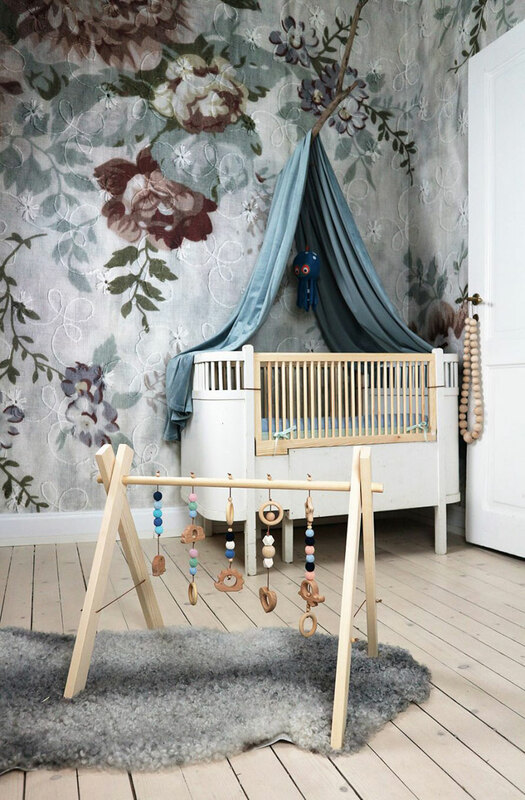 Besides from being an exquisite and royal material, velvet is also known for having a distinctive soft feel, and that’s one of the reasons why it is such a good choice for nurseries. 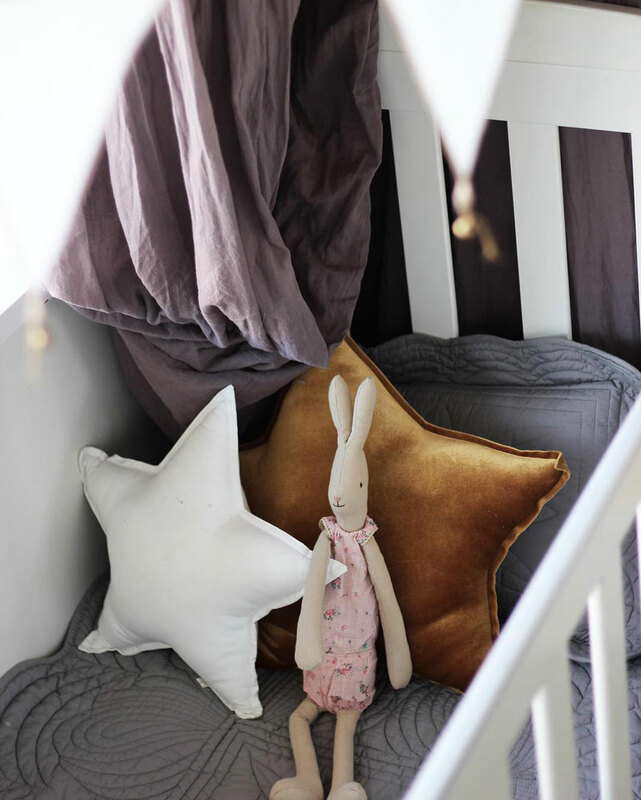 When you lay your baby on the sofa or cushions, you’ll want its gentle skin to be in touch with only the best materials out there, and smooth velvet is definitely one of them. 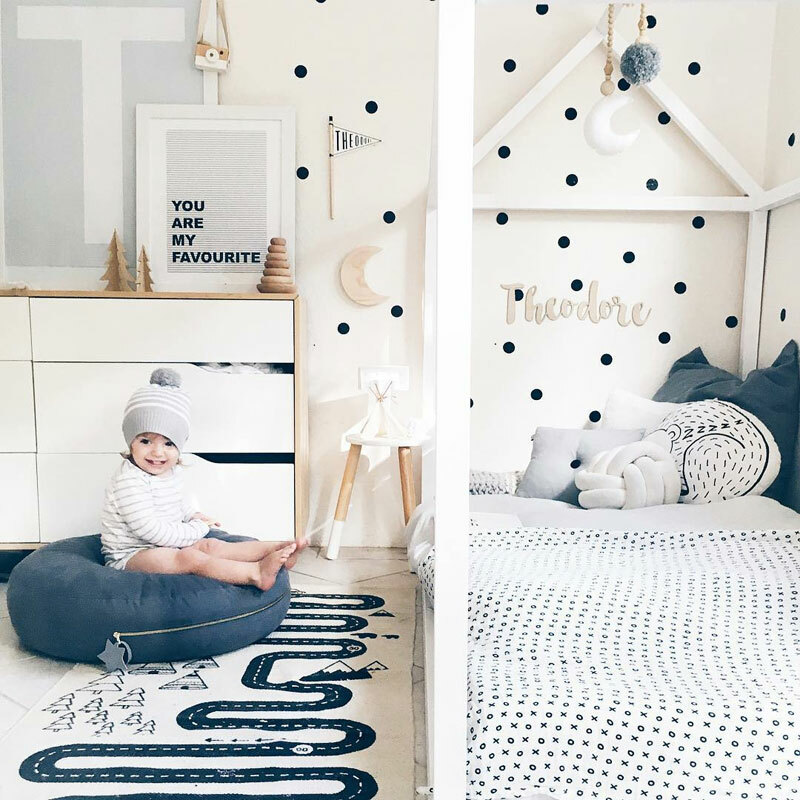 Also, trendy mums will be grabbing every opportunity to rest their tired feet on a comfy velvet pouffe or ottoman in 2018 for sure. 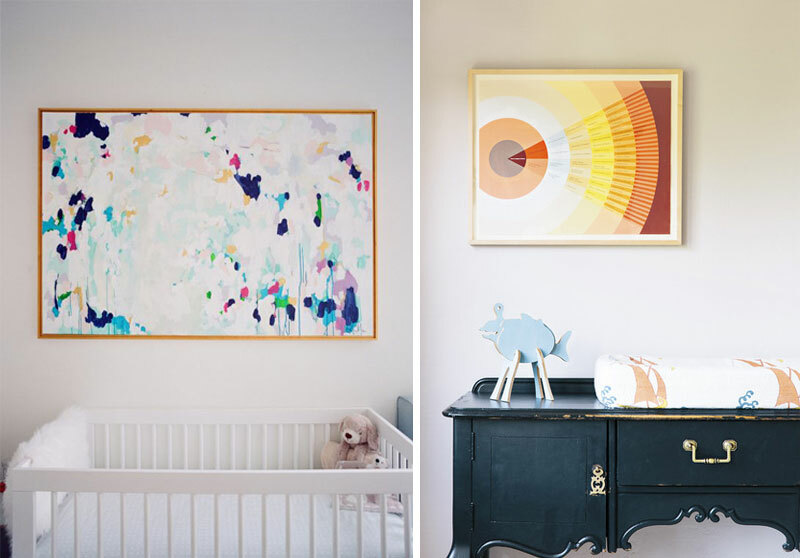 Contemporary art pieces in a soft, gentle nursery? A huge YES this year! 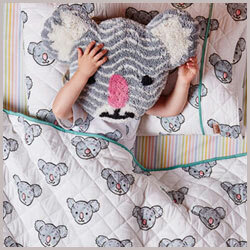 Don’t be afraid to divert from the safe road of cute and cuddly animal prints and into the realm of modern art. 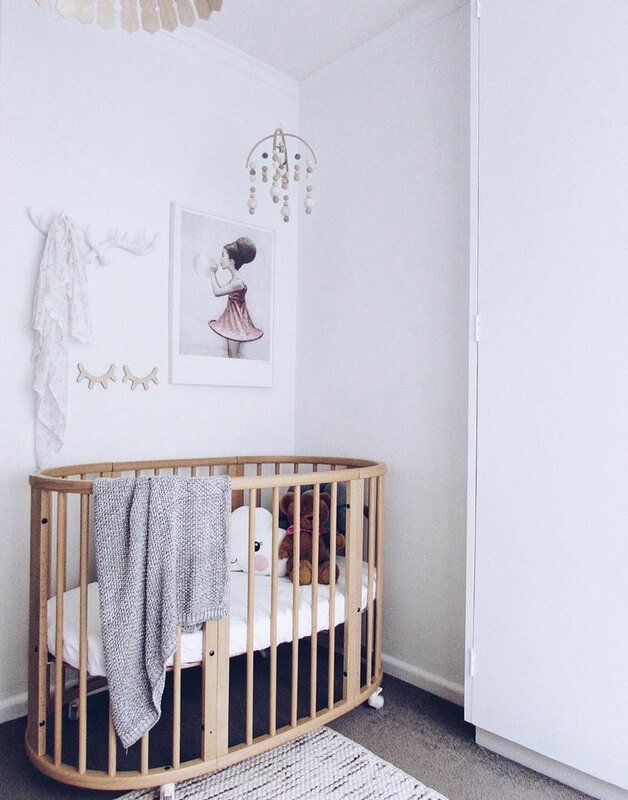 Go ahead and explore what fits you and the nursery. 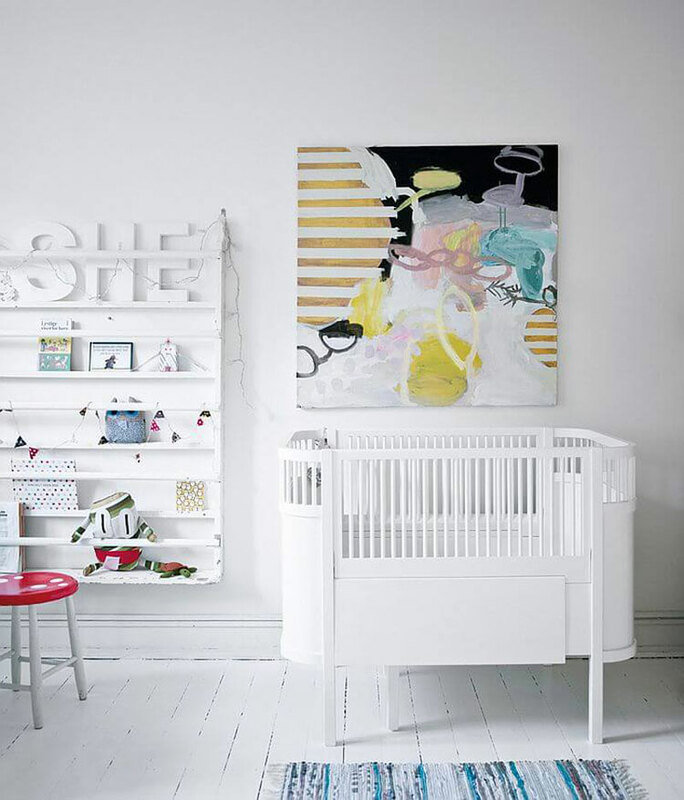 Place the art piece above the crib or changing table and watch as it gets your baby’s attention. 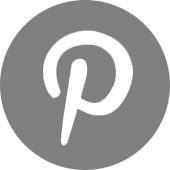 Circles, symbols commonly associated with unity and wholeness are the geometric shapes that are going to take over nurseries in 2018. Like the popular triangle, mostly in the form of mountains, circles are going to be popping up everywhere from wallpapers and shelves to cushions and pouffes. 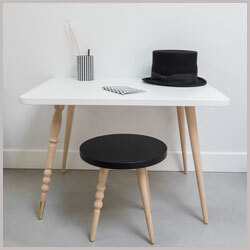 Mid-century modern inspired furniture will keep their positions as the modern day classics, proving once again that while it may be “hip to be square”, rounding things up a notch can be so much fun! 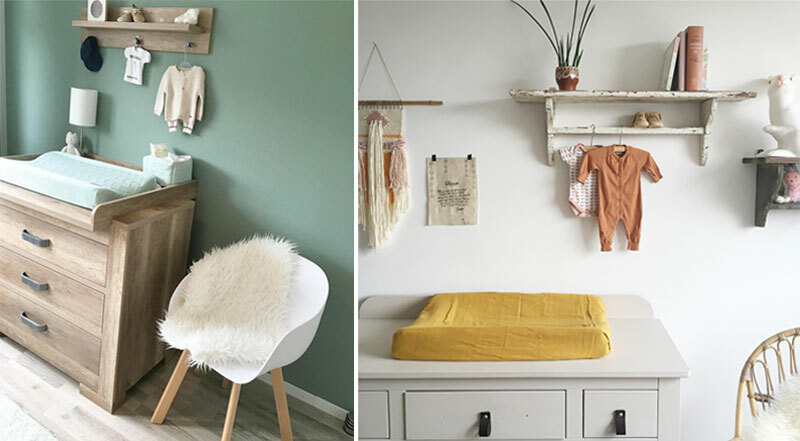 Curved convertible cribs will rock the layout as a statement piece, winning over the hearts of parents all around the world, while mid-century cabinets will remain the stylish alternative to traditional changing tables. 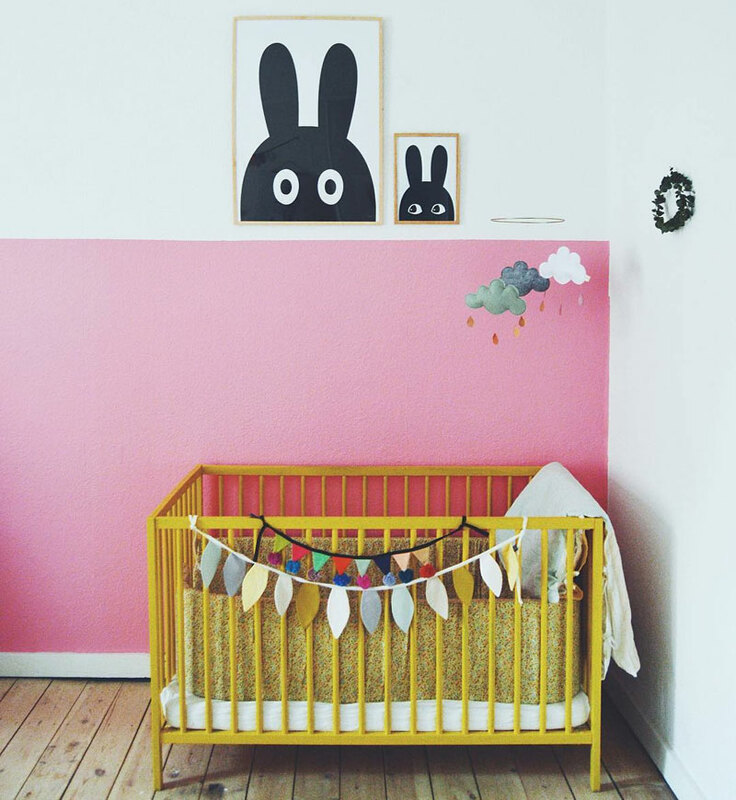 Parents are starting to understand that maintaining clutter in the nursery to a minimum really makes life easier. Like living with a baby isn’t chaotic enough! A few unique, good-quality toys and accessories will do. 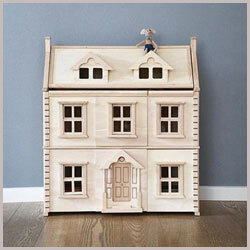 The smartest thing to do would be to go for the toys or storage that can double as décor too. In the end, any décor trend can be compared to a river flowing from its springs up in the mountains and ending its long journey in the sea or ocean. 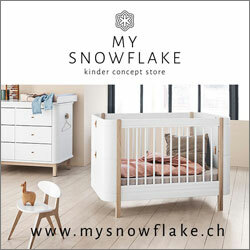 Every year the snow melts from the mountain peaks supplying our river with fresh ideas and new styles until at the end of the year they all end up in that same ocean with all the other previous trends. But from time to time some of the old ideas manage to evaporate from the vast ocean and end up back on top of those mountains eventually entering the river flow once again. 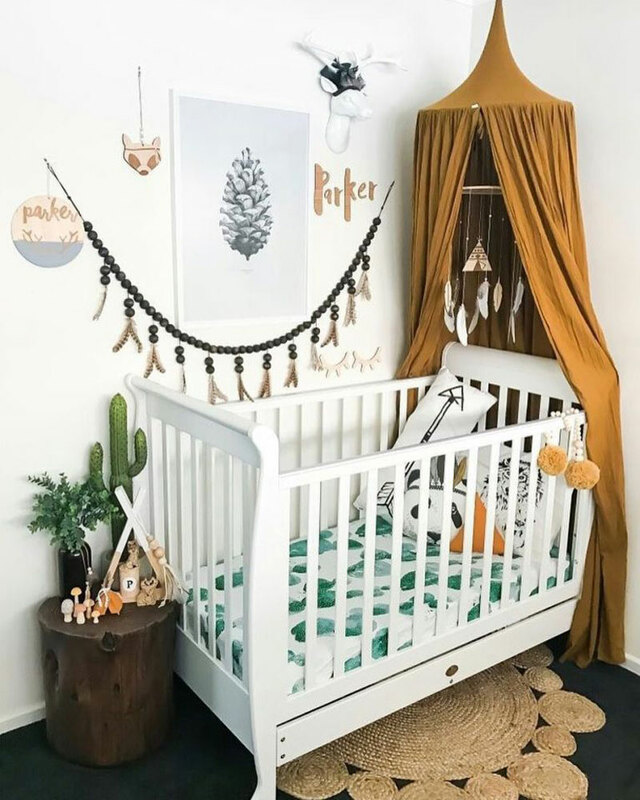 Take every trend and advice with reserve and do what’s best and most comfortable for you and your little companion because you two are going to be spending a lot of magical moments together in that space. 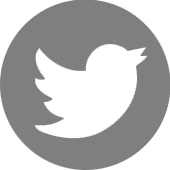 Which trend particularly appeals to you? Let us know in the comments below! 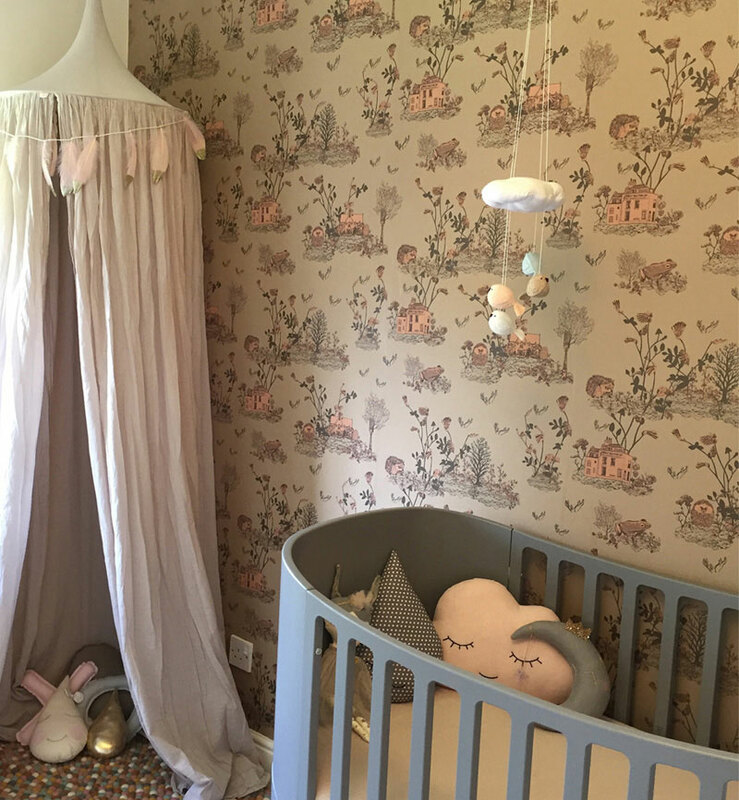 Or if you need more nursery inspiration before making your decision on what will be the trend for you, visit our nursery roomtours! 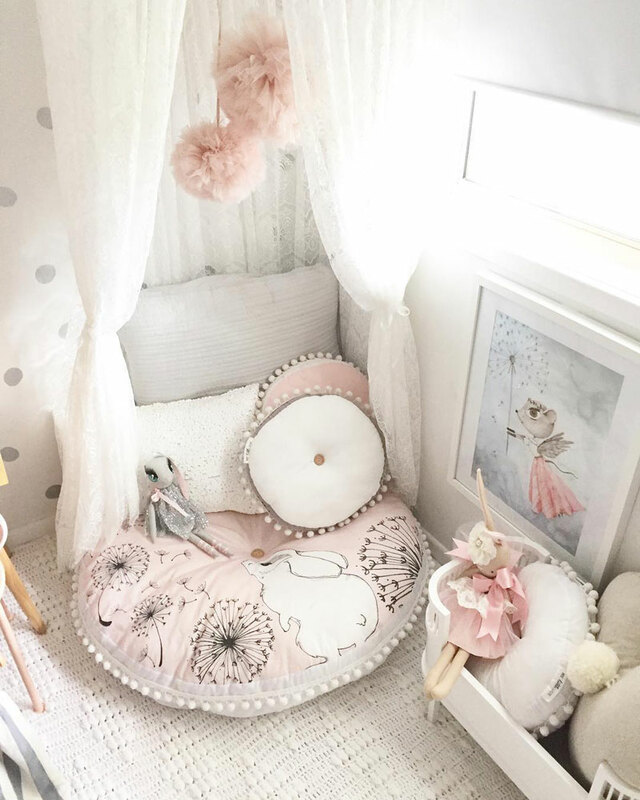 OMG that round bunny floor cushion..! Can I find it at Sailah Lane?